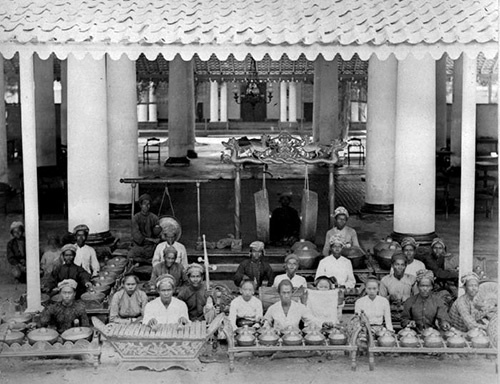 A Gamelan is a large array of percussion in Indonesian classical and traditional music. The Cork City Gamelan isn’t really a Gamelan, but I feel it is a nicely descriptive name for my project. There is also a real Indonesian Gamelan in Cork. It is located at the UCC School of Music and maintained by Mel Mercier. The Cork City Gamelan is a project to extract new original sounds for making my own music from anything that can make a sound in our City. I hit and scrape street furniture and other structures in and around Cork, with different beaters, and I record the sounds. I process some of those noises to create drones and to alter the spectrum and pitch. I then use the resulting sounds, often in combination with other noises and “real” instruments, to compose and produce original new music. Due to my disability, for a long while I have mainly been limited to studio work, using sampled orchestral instruments and software synthesizers to make my music. I still use them a lot, but the Cork City Gamelan project has helped me to get back into physical music making activities. To this end, I also had a Waterphone made for myself – a “Sonic Sculpture”, which I play live along with prerecorded CCG sounds and at improvised music sessions. I have also acquired a range of home made instruments (mainly “un-instruments”, actually), and all this together, hardware and software, makes up my tool kit to support and promote music making for people with disabilities. No virtuoso skills or formal musical knowledge are required. Just make noises, and discover that you are playing music. I am making the Cork City Gamelan sounds available to other music makers and sound artists to compose their own music. I occasionally show how I process the sounds, and I offer finished pieces of music as free downloads in the iPod / iTunes format. Feel free to cut this music up and remix it – and show me the results.